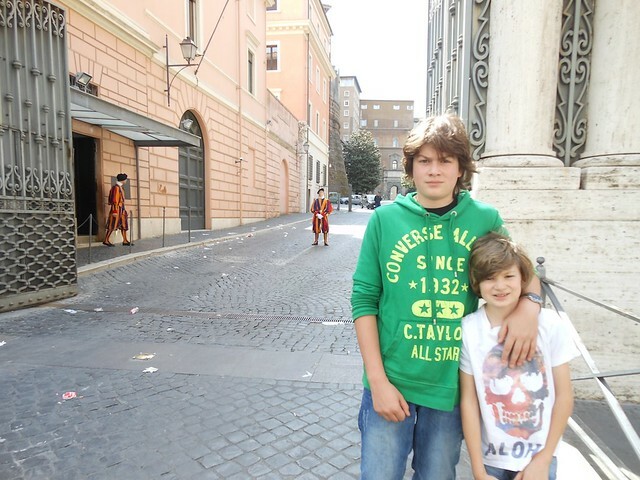 At first glance, Rome will not strike any parent as particularly kid-friendly. 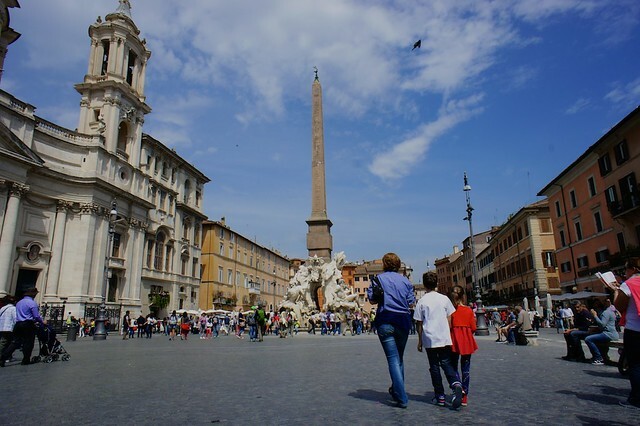 One of Europe’s largest and most visited cities, this sprawling metropolis is home to some of the world’s greatest treasures of art and archaeology, but can be overwhelming and difficult to navigate for families traveling with children. Which is why the Eternal City is the perfect place to explore with a tour guide specialized in bringing the city’s iconic cultural sites to life (while coordinating bathroom and water breaks) for kids of various ages, attention spans, and interests. 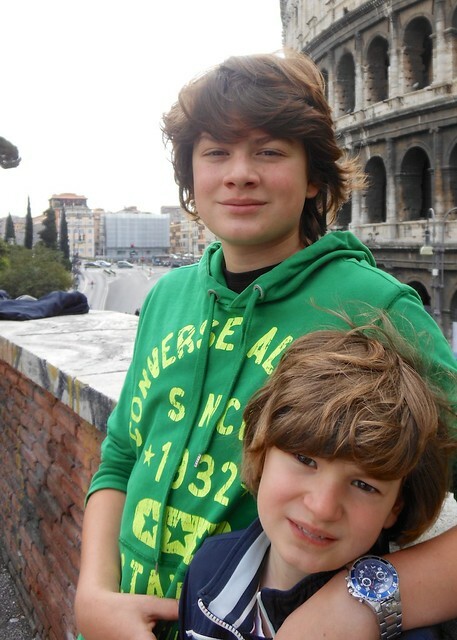 My sons (who are nine and twelve) and I recently spent a day with Valerio, one of Concierge in Umbria’s go-to family-friendly tour guides for Rome, who is also an art historian and expert on Rome and Roman history. Here’s our review of the sights we visited, with high points and caveats! The Colosseum is simply a crowd-pleaser (and is, indeed, very crowded). Since it is one of the most intact of Rome’s monuments—and since much of its history is steeped in exciting tales of bloody battles and glorious gladiators—even very young kids are taken in by a visit. Valerio, our guide, first took us to a quiet nearby overlook, where he gave us a general explanation of the architecture and function of the iconic stadium using a helpful illustrated “then-and-now” book, and patiently answered our questions. Then we dove into the thick crowd surrounding the entrance. Luckily, CIU also took care of pre-booking our entry tickets, so we skipped the interminable line circling the perimeter and walked directly inside. Once there, Valerio again took us to a quiet, shady corner to explain a few features of the building before we wandered through, stopping frequently to point out curiosities and ask questions. It was a great repeat visit for me, and a perfect first visit for my sons, who both gave it a thumbs up. Added fun: When my sons were younger, we spent a few hours at the Gladiator School, where the kids were trained for combat. They still talk about it years later! The Roman Forum takes a bit more imagination to render, and also more historical and cultural context. 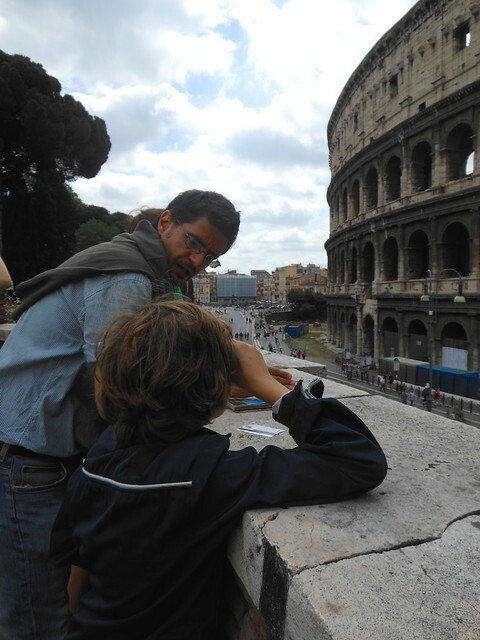 Though my fourth grader was patient through the visit (a sun hat and ample cool water helped...there’s not much shade and the Forum grounds can get sweltering under the summer Mediterranean sun), my middle schooler, who has studied ancient Rome, was much more interested in this stop. 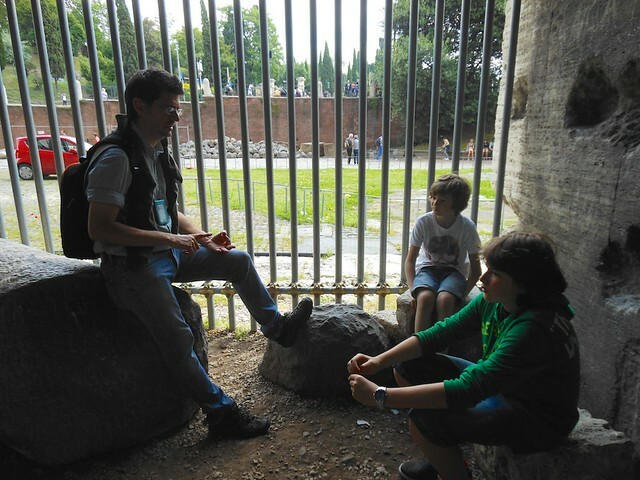 We began with a long rest, bathroom break, and water stop in a shady bit of the Forum (as we had just finished visiting the Colosseum and needed a breather); Valerio was great about pacing our visit and knowing when the kids needed a bit of rest. While resting, Valerio gave us a quick historic overview of the site and what we would be seeing over the next hour and enthusiastically answered my older son’s questions. 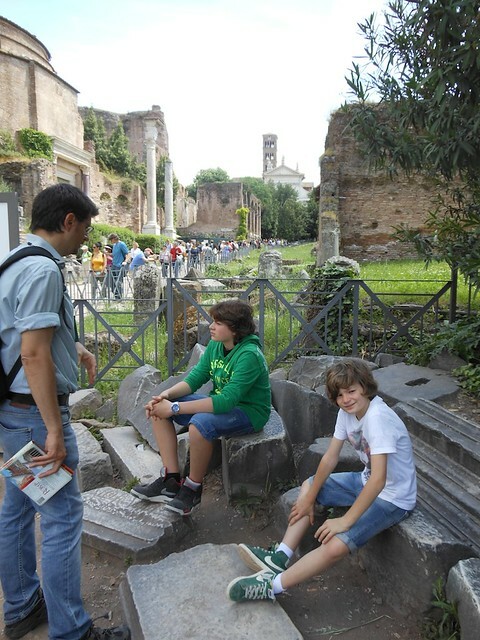 Then we set off to see the high points of the Forum, which Valerio was careful to curate according to what seemed to engage the kids the most. My younger son was neutral about the Forum, but my 12-year-old gave it a thumbs up. Added fun: I found a little pre-research goes a long way with archaeological sites and kids. History for Kids has some good, basic information aimed at elementary schoolers to prime them for a visit to the Forum and a number of other ancient Roman sites. Though the Vatican museums may be a lot for younger kids to take in, the sheer size and scope of San Pietro made my 9-year-old gape. There is no way to skip the line here (it’s the security checkpoint that holds things up), so we organized ourselves to have one adult hold the place in line while Valerio and another adult walked the kids around the vast Piazza San Pietro for a quick overview of the history of the Basilica, the Vatican, the Swiss Guards (always a hit with kids), and what to notice once inside. Oh, and a bit of a rest and drink under the shady portico. Inside, my older son appreciated the art—most notably, Michelangelo’s Pieta—as he’s just begun art history at school, while my elementary schooler reveled in the sheer enormity of the space. It got a double thumbs up. 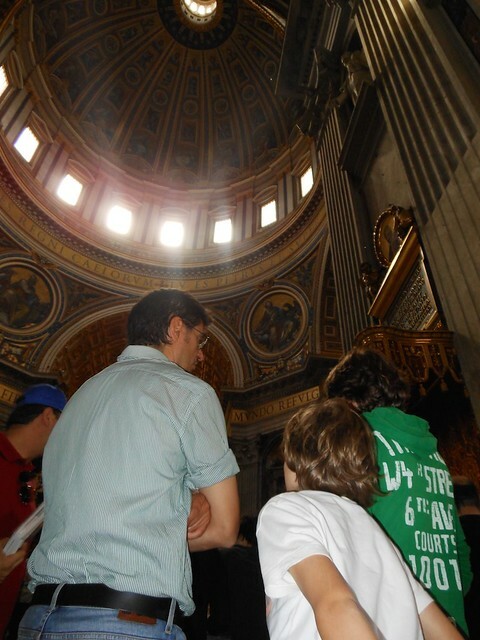 Added fun: If your kids have the wherewithal to climb the steps (the first leg is done with an elevator, but for the final 551 steps, it’s every kid for himself), consider a trip to the top of Saint Peter’s dome. One of the best views in Rome. Some of the world’s most famous art is packed into the stately halls of the Vatican museums (again, CIU takes care of pre-booking so you can skip the daunting line that forms in high season), but the scope and number of masterpieces makes this a challenge for any age of kid that has an attention span of an hour or less. My middle schooler has begun studying art history, so was taken in by the most recognizable works that he has seen in his textbooks, but even he was happy to limit our visit to a “greatest hits” tour, which is easy to do under the expert hand of a professional guide who knows his way around the labyrinthine complex and can get a family from highlight to highlight (with a pause in the Sistine Chapel) before anyone melts down. My younger son hit his limit pretty quickly in, but my older son gave it a lukewarm thumbs up. I think they need a couple more years. Added fun: The museums have a large inner courtyard, if your group needs to split up so the younger kids can run off some steam. There are also snack bars and bathrooms at hand to take breaks. The Pantheon is my favorite monument in Rome, not least because it is free and surrounded by a number of excellent gelaterias. You, as a parent, will know why these two elements can make or break a destination. 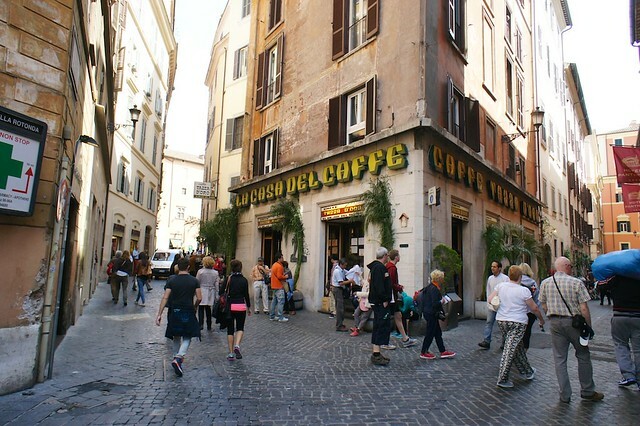 This is a great stop for families, as the bustling piazza outside is filled with street musicians and ringed with cafés (including our favorite, Tazza d’Oro, for a good espresso or espresso granita), and the entrance is a no-fuss operation of walking through the wide doorway without tickets or security. Your kids can’t run around in here, but it’s also not as solemn as Saint Peter’s or other sacred sights around Rome, so you don’t need to be continually shushing them. My kids loved the iconic open topped dome, complete with drainage holes for rainwater in the floor below. A double thumbs up. Added fun: I gave my kids a handful of change to distribute among the street artists and musicians performing out in the piazza. They carefully left tips according to their judgement of merit for twenty minutes, while I finished off my granita di caffè in peace. This is where we ended our tour, and it was the perfect place to finish off an incredibly fun (yet tiring) day of art, culture, history, and—it seemed—every public bathroom in Rome. We gratefully bid the wonderfully patient Valerio “arrivederci”, and spent a relaxing hour just winding down in this hopping square. Packed with buskers, clowns, artists, and musicians, this is a welcomingly less cerebral stop and remains one of the highlights of our visit. Both my sons picked out a (yes, slightly kitschy) watercolor souvenir and we parked ourselves on one of the public benches between a mime and a guitarist to watch the night descend on this most beautiful, and surprisingly family-friendly, city. An enthusiastic thumbs up, all around. Added fun: My sons could each choose a small souvenir, but had a strict budget. I was amazed at how quickly they picked up the art of haggling.